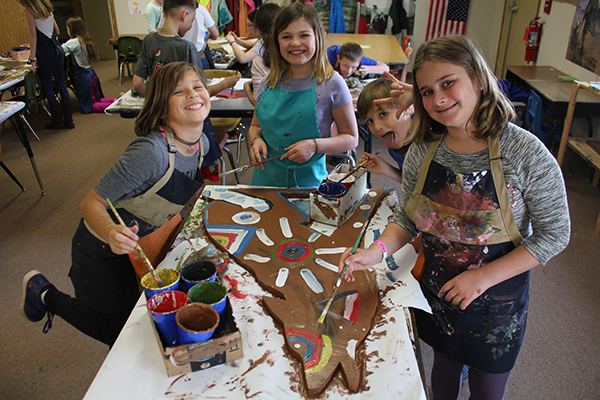 Americana Project Arts Outreach Scholarship (APAOS) provides arts-related scholarships to over 100 children in Sisters Country. Funding comes from foundations, businesses and individual donors. We couldn’t do what we do without their help. Thank you! Sisters Folk Festival Inc. (SFF) and Family Access Network (FAN) formed a partnership in 2011. None of us knew the far-reaching impact APAOS would have in the community. 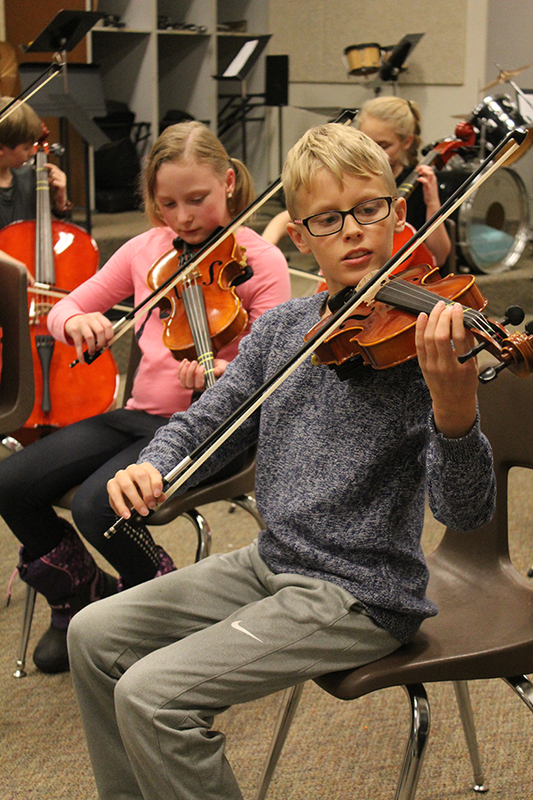 Children who were struggling are blossoming under the guidance of local music and art teachers. 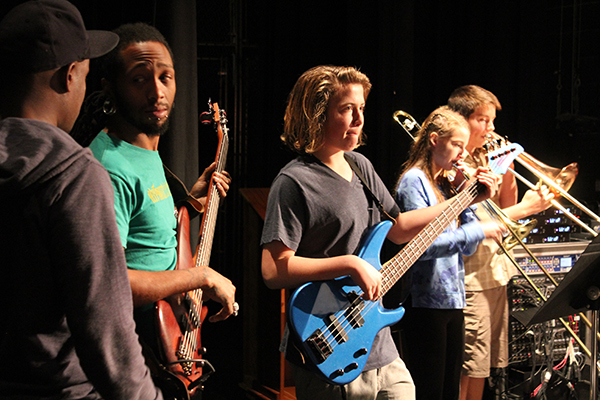 The key to the program’s success lies in offering long-term instruction to at-risk youth. Over time they form nurturing bonds with their teachers and fellow students. 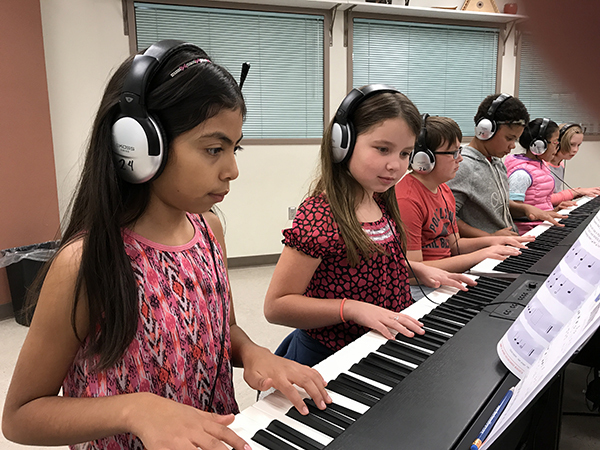 APAOS has leveled the playing field for children who never dreamed they could take dance classes or learn to play the guitar or piano. They’re learning perseverance, goal-setting and the fact that they have valuable gifts to share. FAN advocate Theresa Slavkovsky attended the Sisters Dance Academy recital and witnessed first-hand how APAOS funding is changing lives. SFF’s mission is to enrich lives through the arts; APAOS ensures that our most vulnerable Sisters families are included. “Arts-related education in the schools attracts new families to Sisters, that’s great for our economy. We just shouldn’t forget the children who can’t afford it,” said Yoder. The funding is also helping local businesses. Slavkovsky and FAN advocate Dawn Cooper work hard to make sure families in Sisters Country have access to resources designed to help them when times are tough. “To see those children perform warmed my heart, and I could only smile with gratitude for the village it took to get those children on the stage,” said Slavkosvsky. FAN has received positive feedback from parents, teachers, and students. APAOS opens the door for so many children, ensuring they are included and able to realize their full potential. Families in need of scholarship funds can contact the FAN office at 541-549-0155 for more information. As the need continues to grow and we reach more children, donations are greatly appreciated. To make a contribution to the APAOS fund, contact Steven Remington by phone at 541-549-4979, or email him [email protected], or drop by the SFF office in the Sisters Art Works building, 204 W. Adams Ave., Ste. 204 in Sisters.